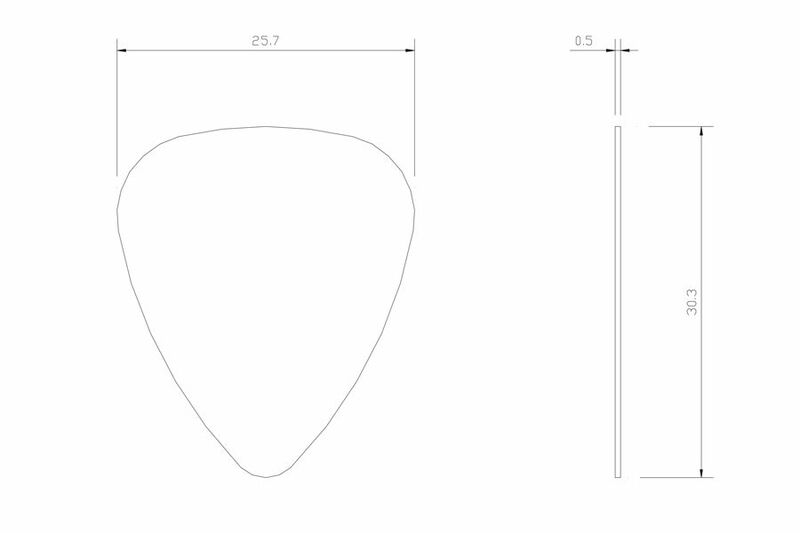 20 Thou (0.50mm) thick. 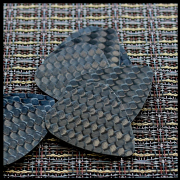 Manufactured from Aerospace quality Carbon Fibre with a high gloss finish on both sides. 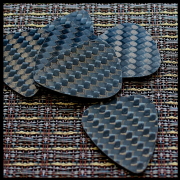 We recommend Carbon Tones for both Acoustic & Electric Guitars. 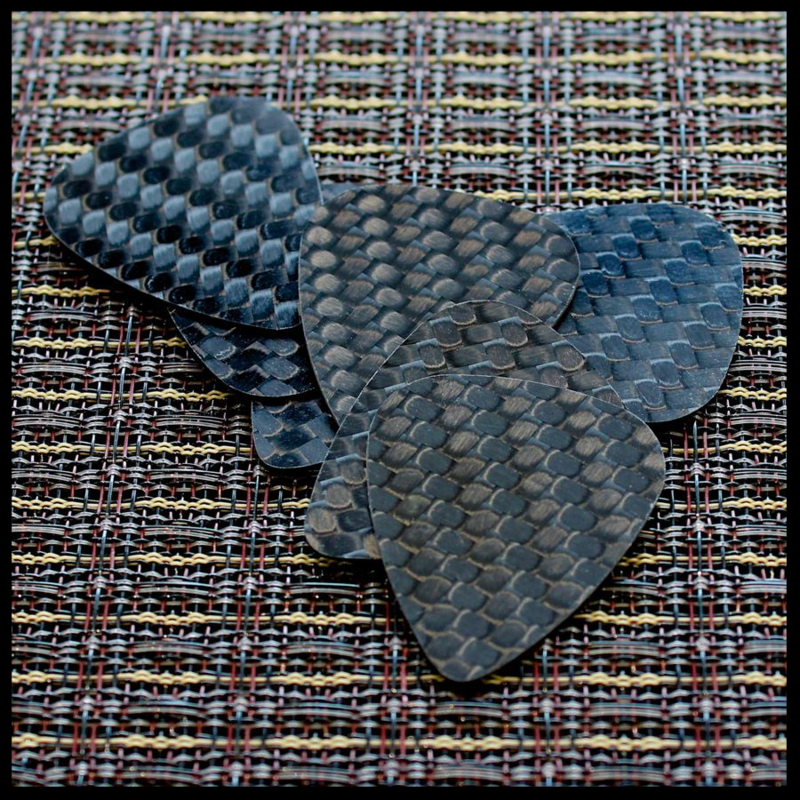 Carbon Fibre is hard and dense and as such has clean crisp bright tones. 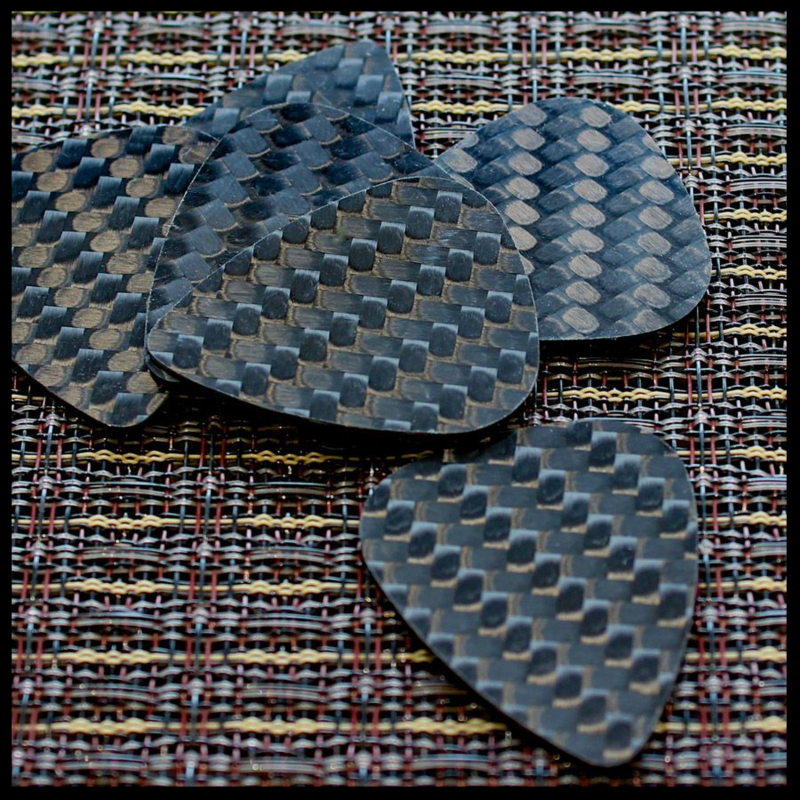 Carbon Tones are designed around the Classic 351 shape. 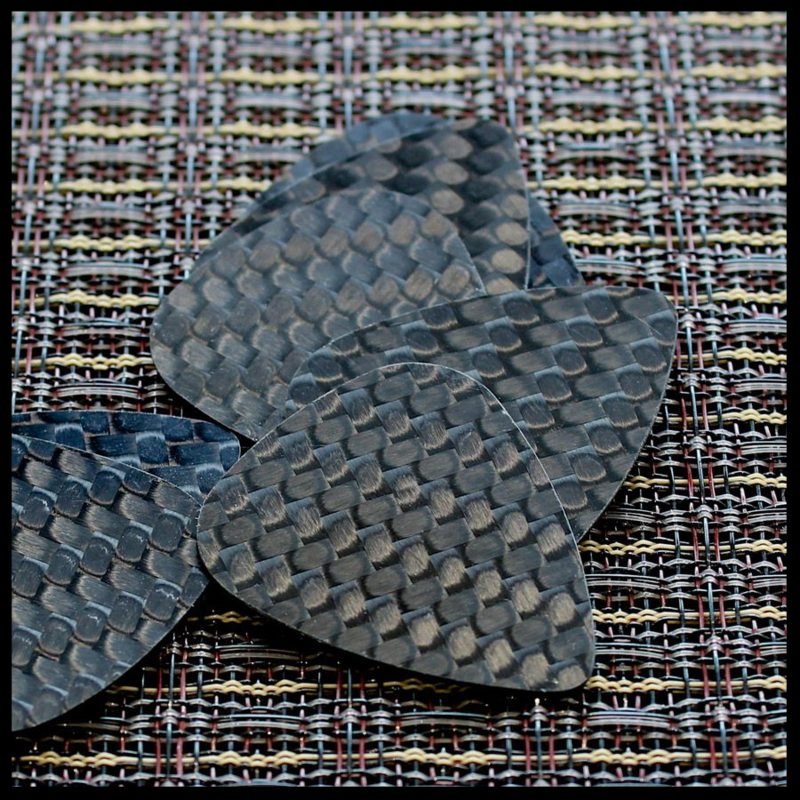 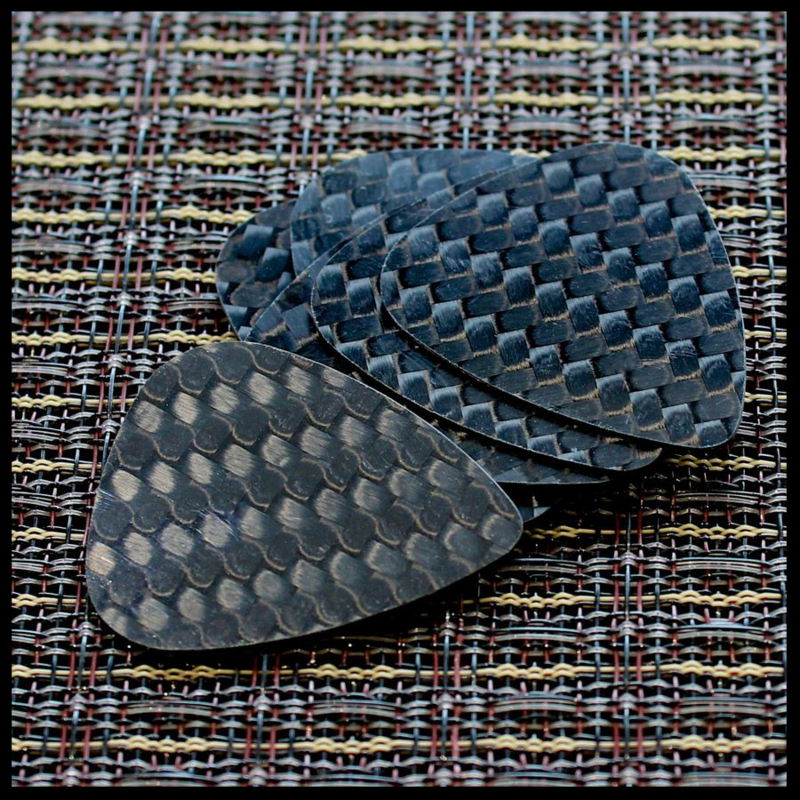 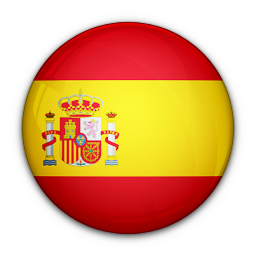 At 20 Thou (0.50mm) thick these Guitar Picks have a medium level of flexibility. 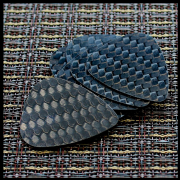 We use a CNC Water Jet cutter to cut out our unique shape to exact tolerances. 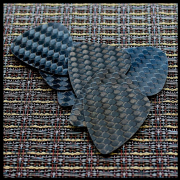 They are then hand polished around the edges to ensure they are perfectly smooth. 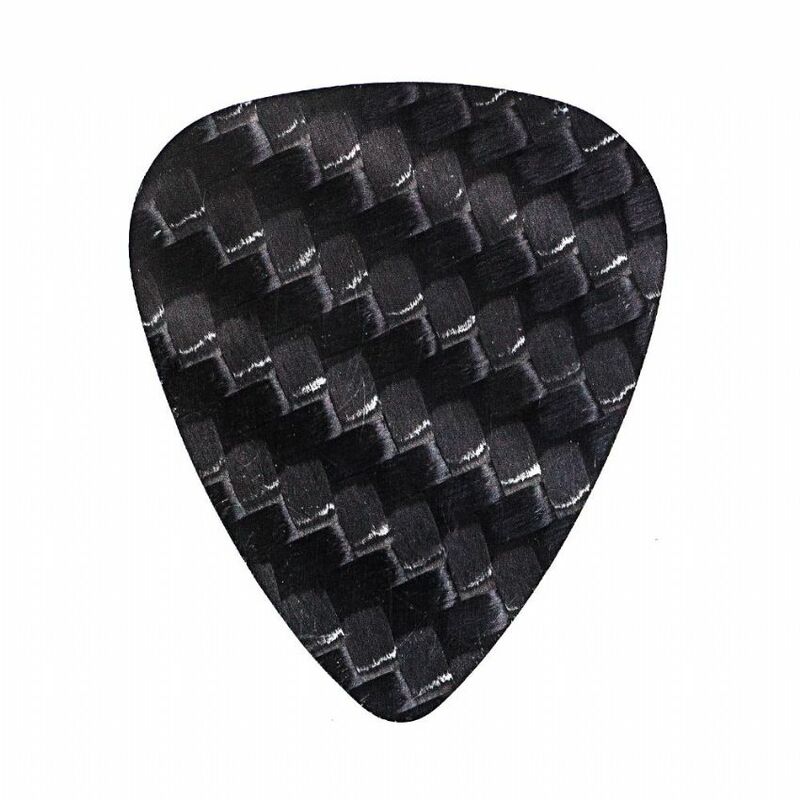 This pack contains 1 Carbon Tones Semi Guitar Pick.